The NABA-Hairstreak chapter will be exploring the Bluffs and looking for the target species, the Falcate Orangetip. Other species that will be on the target species list will include Mourning Cloak and Eastern Comma. Be sure and check our website (http://www.naba-hairstreak.com/) to check on possible status updates. Look for a notice on the front page. If you have questions, please contact Brian Lloyd at (850) 212-0058 or email him at Blloyd@Lloyd-usa.com. “Saving the Monarch: The Important Role of Local Agencies” presented by David Cook, Florida Fish and Wildlife Conservation Commission and Scott Davis, St. Marks National Wildlife Refuge – Saturday, March 4, 2017 from 2:30 p.m. until 4:00 p.m. The Monarch butterfly is a beautiful and iconic insect that has captured the interest and wonder of individuals from school-age children to university researchers with its annual fall migration from southern Canada to central Mexico. St. Marks National Wildlife Refuge (NWR) south of Tallahassee is the only site in the southeastern U.S. that is listed as part of the protected area network in the North American Monarch Conservation Plan. As its first official event in 2017, the Hairstreak Chapter will have two local Monarch experts present the program. David Cook, the Invertebrate Conservation Coordinator for the Florida Fish and Wildlife Conservation Commission (FL FWC), has been coordinating the Monarch tagging program at St. Marks NWR for many years and will discuss general Monarch biology, findings from the nationwide Monarch tagging program as well as from St. Marks NWR specifically, and current FL FWC conservation efforts on Monarchs. Scott Davis started the Monarch-Milkweed Initiative at St. Marks NWR (“Milkweed Tuesday”) and will discuss our area’s native milkweeds that Monarchs depend upon during their northward migration, the food and shelter plants that Monarchs depend upon during their southward migration, the current causes of milkweed decline and what is being done to reverse the decline, and what each of us can do in our yards to help Monarchs. The location for this program will be Conference Room A in the Leroy Collins Public Library, 200 W. Park Ave. in Tallahassee. There is a social half-hour beginning at 2:00 p.m. Remember that parking at the library lot is NOT free after one hour. Speaker Jaeson Clayborn, PhD Candidate, Koptur Lab, Dept. of Biology, FIU presents his assessment for the federally endangered Schaus swallowtail butterfly. 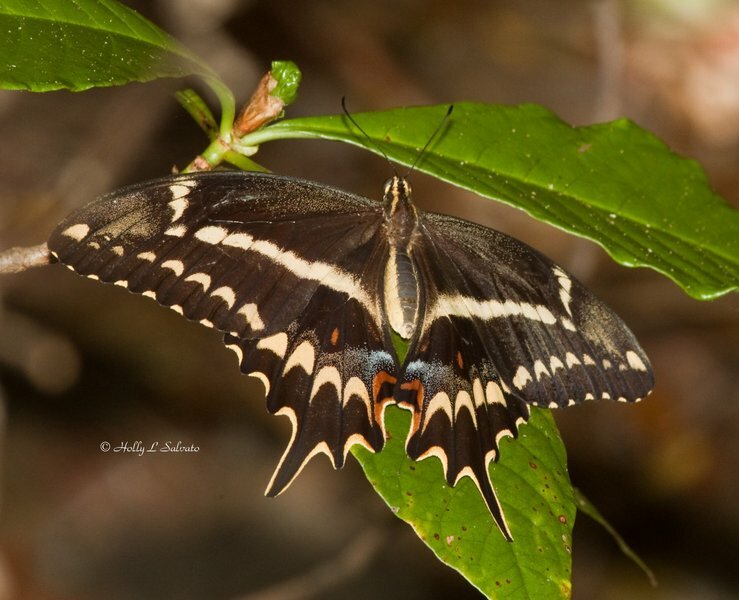 The McGuire Center for Lepidoptera and Biodiversity at UF has conducted ongoing scientific efforts to prevent the extinction of this endemic Florida race of Schaus Swallowtail, Heraclides aristodemus ponceanus. The Schaus’ swallowtail or island Swallowtail is a species of American butterfly in the family Papilionidae. It is found in southern Florida with subspecies in the Bahamas, Hispaniola, and Cuba. Historically it occurred in tropical hardwood hammocks from South Miami to Lower Matecumbe Key, Florida. Meeting starts: 7pm, social hour: 6.30pm at the Broward County Extension Office, 3245 College Ave., Davie, FL 33314. For further info visit our website: www.browardbutterflies.org or email BCBCmail@gmail.com.